As if it were not enough to heap blame upon mothers of children with autism, now some folks are piling onto fathers, apparently because they are insufficiently engaged in the lives of their children. A new documentary, Autistic Like Me: A Father’s Perspective, chronicles the journey of fathers who have children with ASD. The goal of the film is to get fathers to open up and become more engaged with their children. Although I understand the sentiment, and some men may go through the process of coming to terms with being the father of a child with autism differently than some mothers, I’d like to suggest that a critique of inadequate “engagement” may be somewhat lacking in understanding and fairness. Most fathers are so busy busting their hump trying to bring in enough money to pay for the crushingly expensive cost of autism treatment, and working overtime to be effective advocates in fighting for their children’s rights, that their energy is completely spent by the time they come home each evening. Research indicates that often it is the mother who is the first to either work fewer hours or leave her career all together in order to take care of the child with autism. Consequently, there is often only one income remaining to support the family. One needs to remember that when there is a child with autism in the home, life can become a chronic crisis (yes, there is such a thing). Parents’ sleep is often radically disrupted -- for years! -- yet society still expects parents of children with autism to perform normally at work every day and function optimally like everyone else. They don’t sell Superman Pills at the local supermarket! The last thing for which many fathers of children with autism have energy, is to “interact,” particularly with a child who does not naturally interact back with them. Where autism is concerned, the deep dysfunction of the domicile is no small matter; professionals should be content that the family unit remains functioning and intact! In its proper context, the notion of insufficient “engagement” on the part of the father is thoroughly trivial. Moreover, let’s not confuse cause with effect i.e., does a child with autism improve when a father becomes more engaged, or will a father become more engaged when a child’s autism starts to improve with effective, science-based treatment! 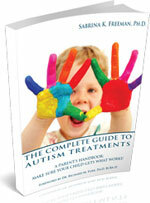 2) Demonstrate the progress the child makes in an effective treatment program. 7) Get them involved with groups that advocate for the rights of their child. They will be able to work towards fixing the issue with the right group and, if necessary, the right lawyer. It’s remarkable how easy it is for a father to come to terms with a child’s autism when the child is in an effective treatment program and he sees significant results! Let’s get more engagement with that idea.